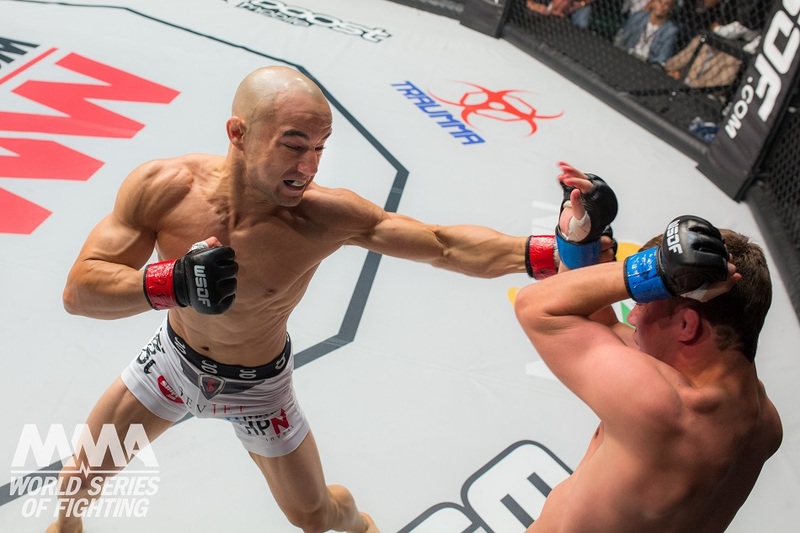 Reigning world bantamweight champion Marlon Moraes will put his title on the line against Josh Hill for the second time, in the new main event of WSOF 32 on Saturday, July 30, live on NBCSN at 10:30 p.m. ET/7:30 p.m. PT. LIVE ON NBCSN FROM EVERETT, WASH.
LAS VEGAS (May 10, 2016) –World Series of Fighting (WSOF.com) has announced a new main event and second championship rematch between reigning bantamweight (135 pounds) kingpin Marlon Moraes (16-4-1) and streaking challenger Josh “Gentleman” Hill (14-1), for its stacked Mixed Martial Arts (MMA) event at XFINITY Arena at Everett on Saturday, July 30, live on NBCSN at 10:30 p.m. ET/7:30 p.m. PT. 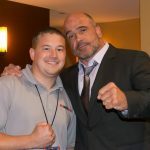 In his last start and third title defense at WSOF28 on February 20, Moraes, who captured the World Series of Fighting crown with a unanimous decision over Josh Rettinghouse on March 29, 2014, needed just 1 minute and 13 seconds to score a brutal TKO on Joseph Barajas with a series of rapid-fire leg kicks. In other action on the live NBCSN telecast, costumed crusader Phoenix Jones (6-1-1) aka Ben Fodor of Seattle, Wash. will look to settle his rivalry with adopted brother Caros “The Future” Fodor (10-5) of Seattle in a 162-pound catchweight affair.